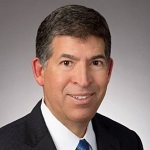 Luis R. Mejia is a partner at Perkins Coie LLP. As a former Chief Litigation Counsel of the U.S. Securities and Exchange Commission, Lou Mejia is a veteran of high-profile investigations and litigation. Lou represents individuals and organizations before the SEC, Department of Justice, FINRA, Congress and other investigative and regulatory authorities. Lou’s recent representations encompass the full range of SEC and other regulatory enforcement issues and actions, which include financial statement and disclosure issues, securities offerings, trading practices, revenue recognition, and valuation. He advises and counsels public companies, directors and officers, executives, investment banks, broker-dealers, investment advisers, accounting firms, hedge funds, private equity firms and elected officials, among others. During his earlier decade-long tenure at the SEC, where he began as Assistant Chief Litigation Counsel, Lou served as lead trial counsel in several well-known prosecutions. He was the lead trial attorney in the SEC’s successful insider trading case against Scott K. Ginsburg, former chairman and CEO of Evergreen Media Corporation. In addition, he led the SEC’s Enron litigation and assisted investors’ recovery of more than $400 million. Prior to his SEC service, while in private practice, Lou represented clients in complex criminal and civil matters, including the defense of a sitting governor in a federal criminal trial involving allegations of financial fraud, and representation of a U.S. Senator in the Keating 5 proceedings before the U.S. Senate Select Committee on Ethics. Lou frequently speaks before legal and business audiences on emerging issues related to SEC enforcement.